You can become a published author! to write a query and synopsis than I did before. 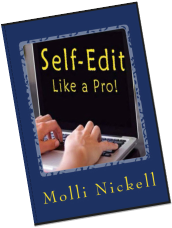 Molli helped me, early in my career, learn to tighten up query letters, pitches, and the introductory pages of my novels. Her words stick with me almost a decade later, as I prepare to publish novel 29. Her insightful concepts improved my writing ten-fold. Many kudos for her industry moxy. I've observed Molli Nickell in action. She teaches writers to hone selling points, focus the pitch, write a synopsis, and and land an agent: vital first steps toward becoming published. Her humor and kindness will put you at ease while you gain new skills. I’ve personally witnessed several successes—including my own—that came about after her students learned to apply her techniques. Author Samantha Charles revised and revised to craft an effective query and synopsis and comments: Today I achieved my goal of signing a publishing contract. Thanks Molli, for helping me get here! Molli encouraged me to break rules and enjoy the freedom to start a sentence with AND or BUT, along with using contractions, because that's how we speak and think! After Molli’s evaluation of my query letter and pitch, my book got its foot in the door when both an agent and a publisher at the Florida Writers' Association conference requested a manuscript submission. and Noble) if it weren't for you and your query letters. how to correct plot problems and writing mechanic errors, I felt a bit overwhelmed. a talent for mixing “tough love” evaluation and tension-releasing wit. I'm a devoted protégé. Molli discovered a writing mechanic error that ran throughout my manuscript. success after six years of writing, revising, and submitting 85 query letters. Molli’s blessed with the Midas touch. She breathes life into stories that are hanging by a thread! Bill, another writer heading for author-hood, commented: After years of struggle, a 45-minute consultation with Molli revealed issues that had held me back. My biggest regret is not working with her years earlier. She's that good. Author "Captain" Haggerty sealed a publishing deal with Simon & Schuster after a major structural revision of his manuscript. He comments: Molli, without your re-structuring assistance and editing skills, HOW TO TEACH YOUR DOG TO TALK might not have made it onto the shelves of Barnes and Noble. Your help is grrrrrr-reatly appreciated!" little Self-Editing book of inspiration, how-to, and don't-do, is easy to read and beautifully crafted. Every wannabe novelist should read it. You can bet I'll recommend the book to my critique group. her conference workshops. I highly recommend her. PERFECTING YOUR PITCH was one of the most productive workshops FWA, Tampa, has ever hosted. We learned that we ain't near to pitch perfect yet, but we're learning how to get there. Really valuable stuff. Thanks Molli. Molli, can't begin to thank you for the fabulous Publishing Workshop you gave my students today. Your professional attitude, combined with your marvelous sense of humor, kept the students talking beyond class. Molli’s an amazing speaker and writing expert. 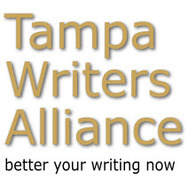 At our Tampa Writers’ Alliance First-Page Workshop, she read (out loud) and evaluated our first pages on the spot. Each of us received valuable insight about what worked and what didn’t. Every writer benefited from the personal attention and encouragement she gave us.